Start you day with a healthy breakfast, you will feel numerous benefits, you will detoxify your body, clean the intestines, improve digestion and strengthen your body. Moreover, your skin will restore its beauty and healthy shine! I now present to you the healthiest breakfast ever. In addition, it will help you in the fat burning process, it will normalize your weight and you can lose 3-5 pounds extra weight. Also, it will solve the issues with lazy bowels and constipation, and the belly fat will disappear slowly. Furthermore, your nails, hair and complexion will become healthy and beautiful.For anyone out there who wants to have a beautiful skin try this Recipe. This breakfast should be prepared the previous night for the following day. Pour 3.3 oz /100 ml of boiling water over the prunes, cover them and leave them 5-10 minutes to cool. Put oat flakes, milled flaxseed and cocoa in another bowl, pour them with yoghurt and mix well. When cooled, chop the prunes or blend them and add them in the other bowl and mix them with the other ingredients. Place the prepared mixture in the fridge. 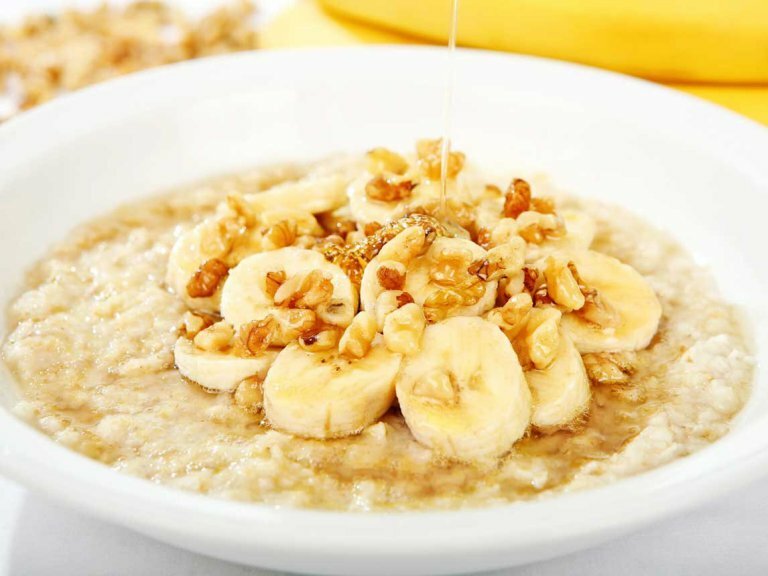 The next morning, your delicious and extremely healthy breakfast will be waiting for you! You may feel something “strange” in your stomach the first day, due to the improved digestive function, but the feeling will be gone soon. You will soon feel and notice the positive results! Do Enjoy your day as we all strive to stay Healthy.